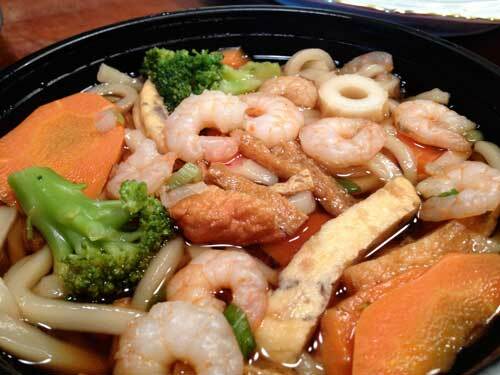 Udon soup from Rice & Roll Sushi hits the spot. There’s one table inside, three more outside, and a short length of counter on which to lean for a quick maki fix, but mostly Rice & Roll Sushi is tiny and used for take away. Transplants from Edmonton, the husband and wife team that runs Rice & Roll have taken over a former Go For Sushi franchise location and made it a better place, more personal, more inviting.